What is better that a delicious cold salad to accompany grilled fish or meat. And the added bonus making ahead so you are free to enjoy your time with family and friends. In the summer when I entertain I love to prepare in advance so all that has to be done last minute is grilling. Want to dazzle your guest pick up some beautiful eco-friendly outside dinnerware that is dishwasher safe available in an variety of color and styles. Potato salad which is a summer stable in our family doesn’t have to be boring. I use all different ingredients to create an array of different Potato Salads. I also like summer food especially to be very colorful. 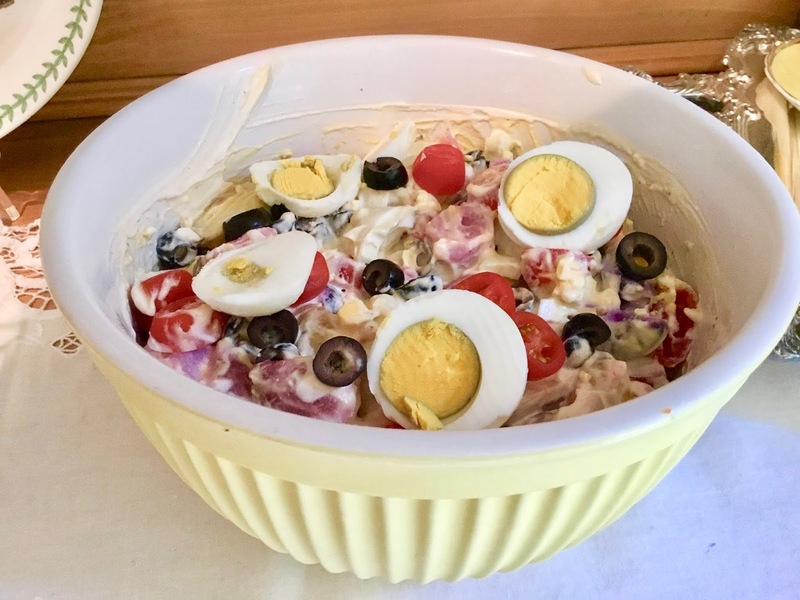 In my Tricolor Potato Salad is used red, white and blue gourmet potatoes for extra color and taste. Adding tomatoes and olives enhances the flavor also. Have fun with interesting and different salads, experiment! Place potatoes in a large pot and pour in cold water to cover by 2″. Add 2 Tbsp. salt and bring to a boil. Reduce heat and simmer until potatoes are just tender, about 15 minutes. Drain, then let cool slightly (the potatoes should be warm when you dress them, which will help them soak up the dressing). Meanwhile, cook eggs in a large saucepan of boiling water 8 minutes (whites and yolks will be set). Drain; transfer to a bowl of ice water and let cool. Drain, peel, and quarter 3 eggs. Set aside one egg for garnish. Whisk mayonnaise, yogurt, mustard, garlic powder, pepper, and remaining ½ tsp. salt in a large bowl. 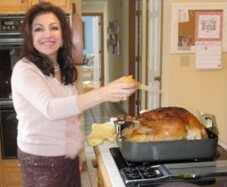 Add potatoes, eggs, tomatoes, half of olives and fold gently until combined and completely coated. 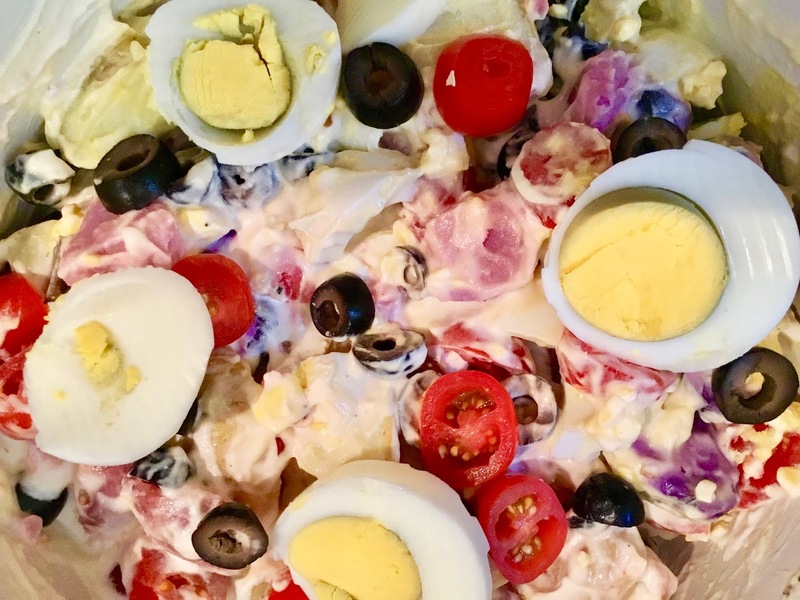 Transfer salad to a platter and top with olives and slice egg.